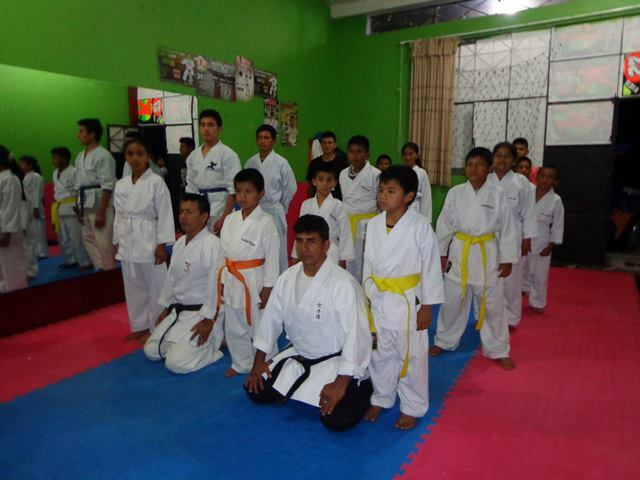 ="keywords" content=" karate Japan gojuryu kobudo GIKKU YUZENKAI　bushido shotokan fullcon厚木市　空手道場　"
..Gojuryu is one of the representative Karate of the world.This site aims the curriculum development of traditinal type Gojuryu (not sports type Gojuryu), and share the secrecy of hidden moves those which did not go out from Japan. I think the site help the understanding about that you wanted to know and you didn't know by other site or book until now..
Then all pictures and videos are our amateur works ..Thank you for your warm support . 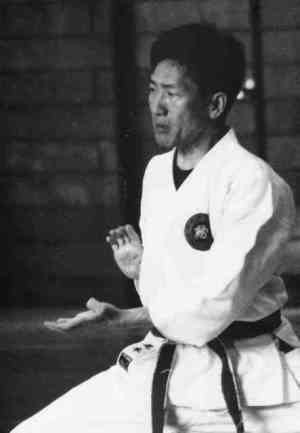 Kazunori Omoto,Kancho of GIKKU Yuzenkai. Recommended clips on Japan .. Mainly news & topics ('16～'19). 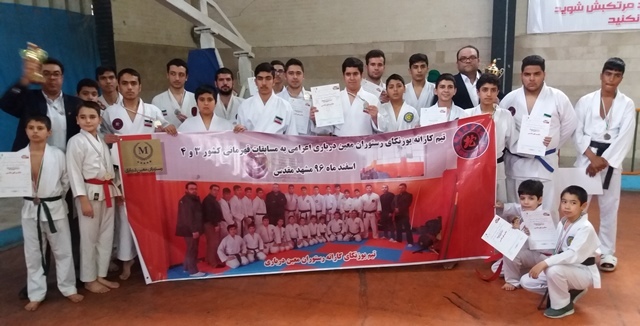 The Great Yuzenkai Cup of Iran was over with great success on 12th JAN. 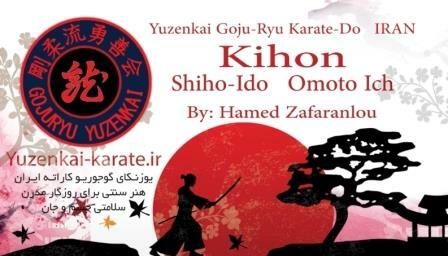 The tournament is under the control of Shihan Dr Harmd zafaranlou,the branch chief of Yuzenkai Iran .The 140 fighters fought bravely in the competition of Kata, Kobudo and Kumite . 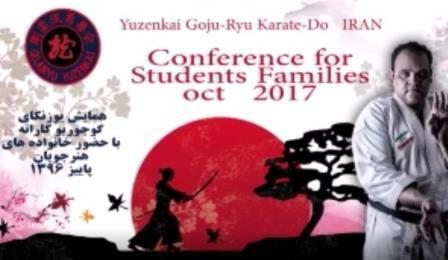 The technical level of the tournament was excellent.Various style of Shihans,Saitoha shito ryu,Shotokan ryu ,the Karate Provincial Director ,Professors of Goju ryu were attended. 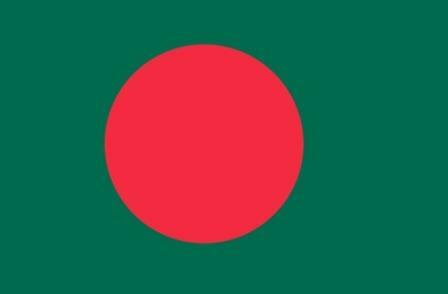 Tigher of Yuzenkai roared in Iran. 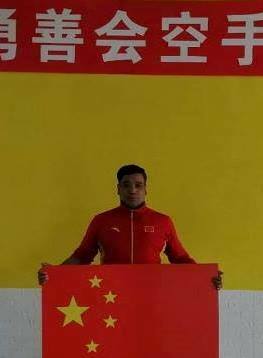 2/10/2018New Yuzenkai Honbu Dojo in China started! 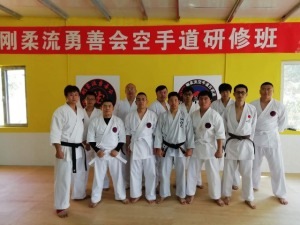 New Honbu Dojo of GIKKU Yuzenkai in Shenyang, China, managed by Saiko-shihan Huanghai. 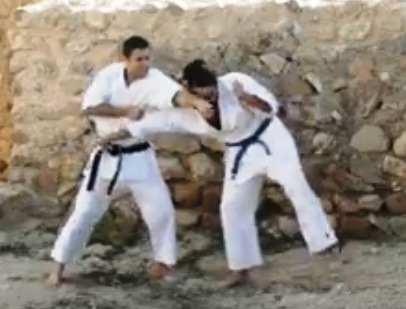 Very Interesting configuration video clip about JION bunkai by Shihan Renshi Josep Claramonte(SPAIN).If Kata is not understood in a real fight situation, beautiful performance of Kata is "Analects knowing of reading the Analects".This type creative search will be important more and more. I expect a lot of karate-ka's activities in this field. 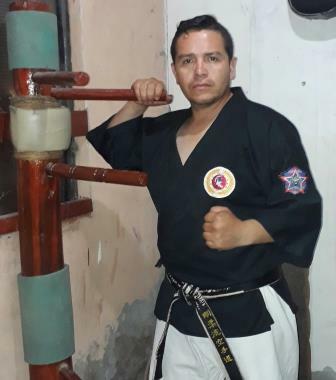 On Aug.9, 2018, Yuzenkai Japan approved Shihan Ramon Muñoz Mansilla as branch chief of Chile. 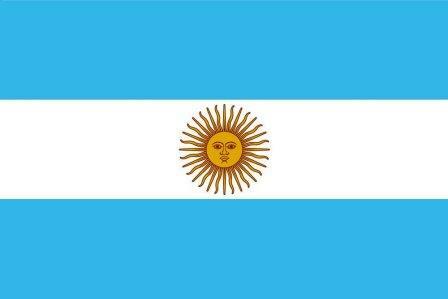 On June 23, 2018, Yuzenkai Japan approved Shihan Pablo Alejandro Luna as branch chief of Argentina. 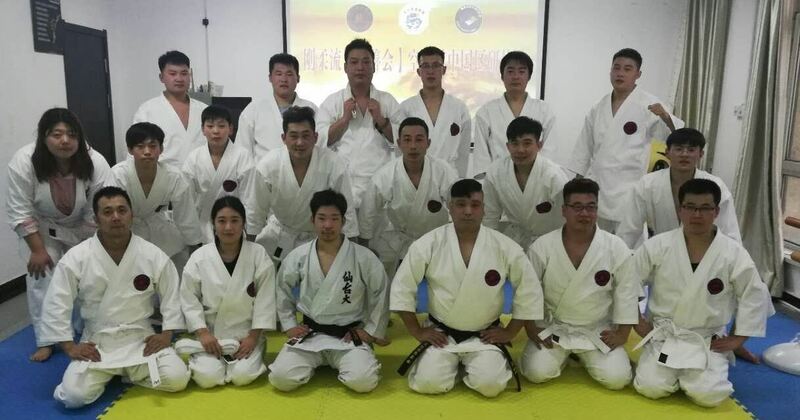 The 10 dojo operators joined Yuzenkai by Saiko-Shihan Huanghai's great job of promoting Yuzenkai in China, all over the country. By this,more than 250 students combined, and some of them teach in more than one place. Needless to say, Gojuryu is a philosophical name. 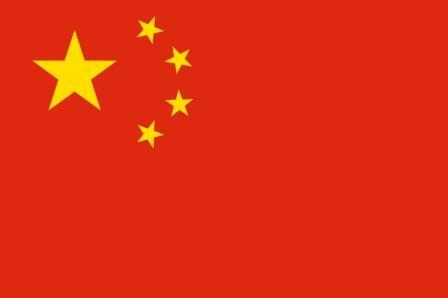 It means "style of Go and Ju".This name come from the proverb "Truth has both Go and Ju" in the "Bubishi". "Go" means blows such as hardness, linear movement, tuki or keri. 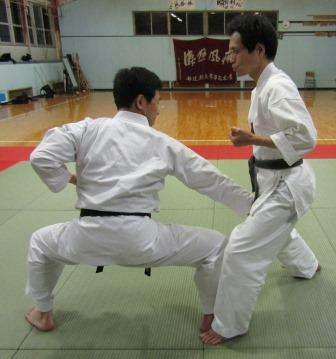 "Ju" means the softness, circular movement, joint lock and throw.In brief, the style called Gojuryu is like as the mix martial arts from the first.So kata of Gojuryu has very many joint locks and throws as for it.It may be said that the word "Gojuryu" sublimated to the concept of the martial arts philosophy from the word indicating one sect of Karate .Is the concept called "Gojuryu" not our way of life itself?I think that it is the arrival of the wave of the new times that the Chinese martial artist of various styles joined this time. 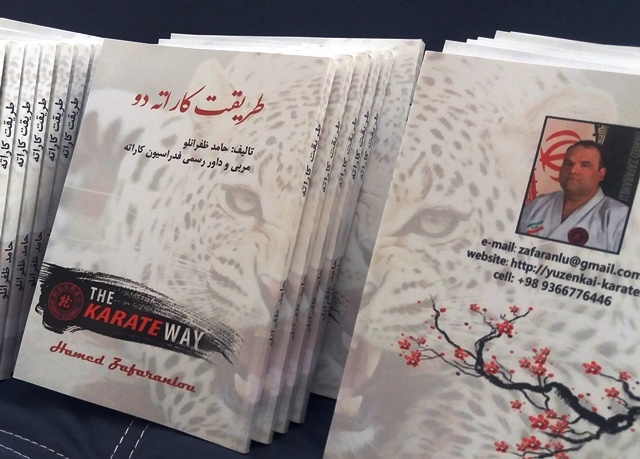 The Representative of Yuzenkai Iran, Shihan Hamed Zafaranl's fourth book was published with the introduction of yuzenkai and Karate philosophy and the biography of old karate masters. 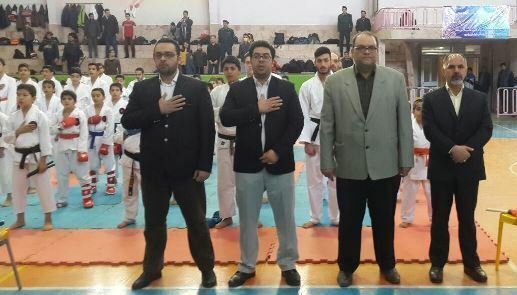 Shihan Dr. Hamed Zafaranlou ,the Representative of Iran Yuzekai, was appointed as the director of the Ayatolah Khamenei high school of physical education. 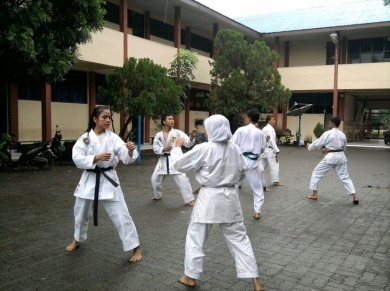 Karate has been added to the courses of the high school physical education. Soon the dojo of high school will be established. 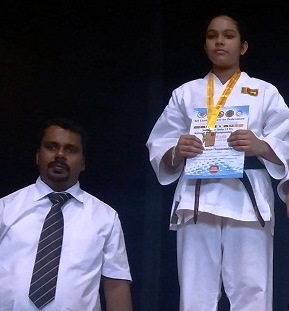 Introduction of "BUNKAI"has up dated. 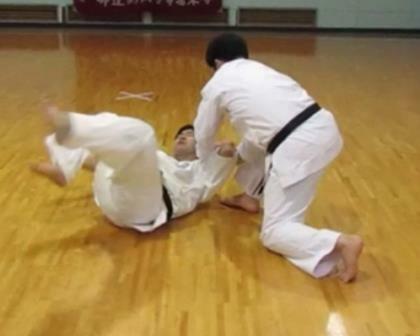 Uchi-uke Nage(Uchi-uke Throw ) in Gekisai syodan . 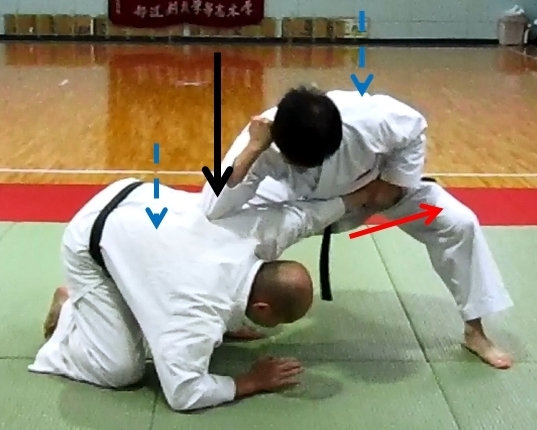 The seventh movement of Gekisai syodan is consecutive movement of uchi-uke and soto-uke.These two kinds of uke are carried out at the same time.Is it why ? 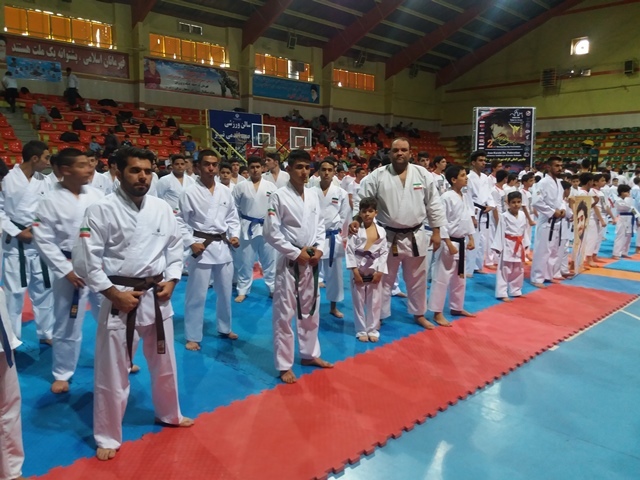 Yuzenkai team of Iran participated in the game of okinawa ishin ryu Karate kobudo International Championship on 14-15 Septemberat Tabriz.5 gold medals, 7 silver medals and 8 bronze medals were Yuzenkai team's achievement. 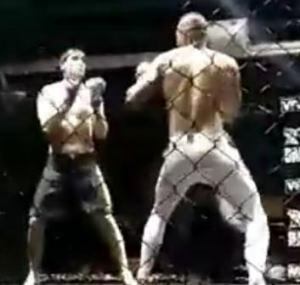 TThe historical movement that remains in Kata "The most weak point was the topknot"
Tribute to the Shihan Josep Claramonte's challenge to the MMA in his homeland on September 9 . Their technique shows the essence of Gojuryu. 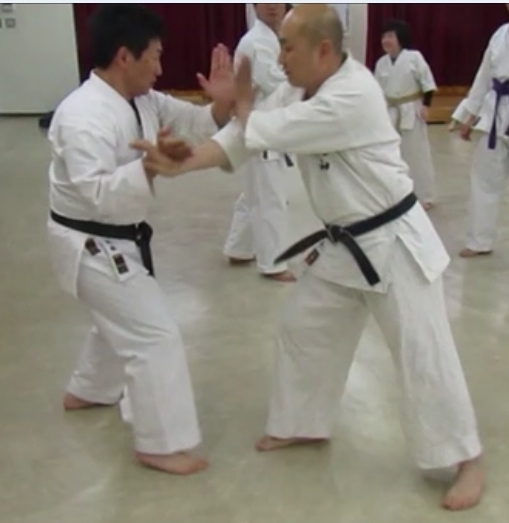 In Gojuryu, Seienchin also has been used as the kata for Sai from old times. But it is rarely seen recently.So I uoloaded the Kata which has been handed down in my linkage. 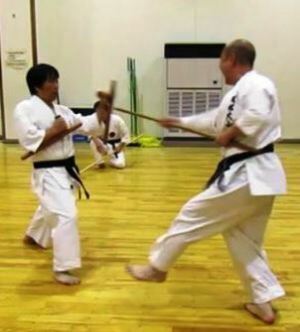 The regular type teaching materials video "The bunkai of Sisouchin:the secret of Sashi-te; the high techniques of Gojuryu Karate"was uploaded on the members only site.5 min. 35 sec. 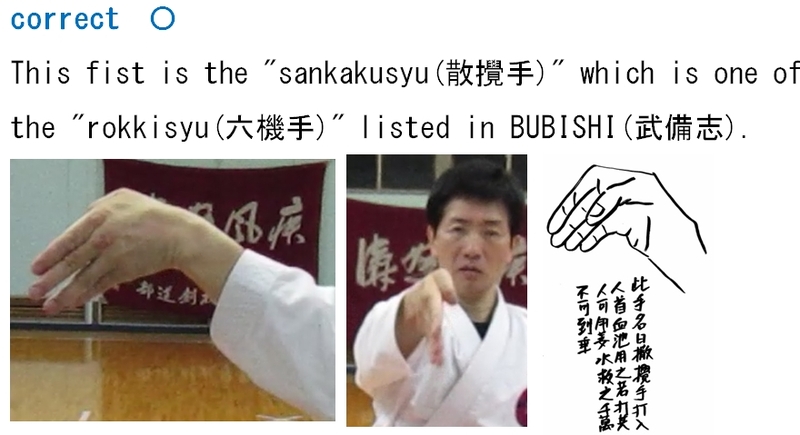 When meaning (bunkai) is not understood, Kata is reduced to mere karate-dance.Yuzenkai uploaded the brief video for beginner (or kids) to instruct that Kata has the meaning(bunkai).I'm sorry but it is Japanese version. 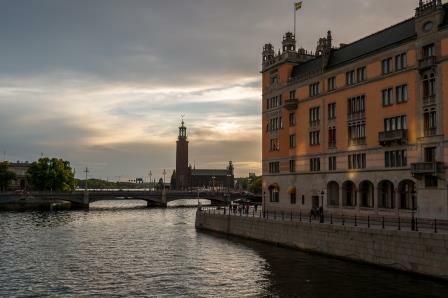 Some beltexams and demonstrations by youngest students　in Sweden. It's final movement of Sisouchin and "Sasi-te"
Most of throw and joint locks of Gojuryu are carried out by the principle of "Sashi-te"(Stabbing hand)Karate needs the momentary offense and defense.Hence the "grasps" and the "catching are verbose.Therefore Gojuryu-fighter does the joint lock by the principle of "Sashi-te". 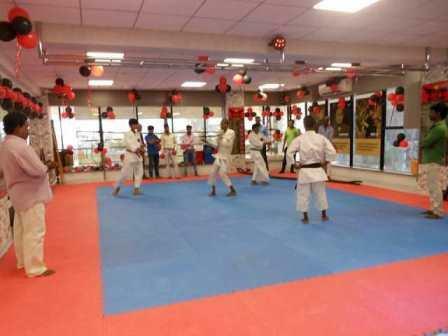 The Shihan Roy Fernandes's new Dojo in Surat started on June 3, 2017. About the Tensyo.Video clip "Detail of Tensyo and it's training"in the members only site was enlarged on May 29,2017. 15/5/2017Members Only Yuzenkai Kobudo video "Yuzenkai Gojuryu Kobudo NUNCHAKU basic 20 lessons" was up-loaded on the members-only site. Recent report about Yuzenkai In Indonesia.Yuzenkai In Indonesia already known in Indnesia and already following some competition. 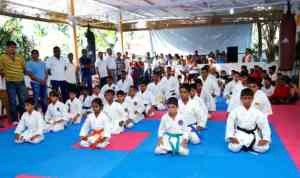 The Pakistan Amateur Goju Ryu Karate Federation, and IBKF Budoshin Group Western Bi-Pass Karate Center organized the Karate out door Training Camp at Quetta City Pakistan. 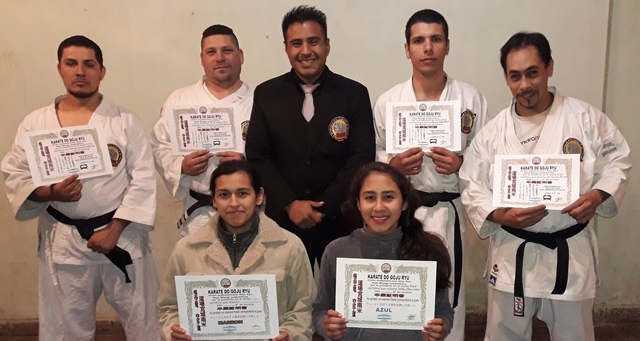 ※GIKKU(JIKKI:Japan International Karatedo Kobudo Institute) is awarding Title and Degree to the candidate as a result of his creative study for the promotion and the interchange of the academic study of Karate. "What technique this Saifa's movement is hiding?" 13/12/2016 Introduction of "BUNKAI"has up dated. 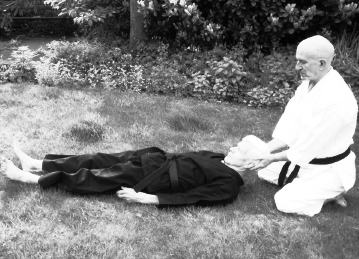 About the technique of Nidan-geri in Betturin(or Suparinpei).Nidan-geri of Gojury is greatly different from the one of Syotokan in bunkai. 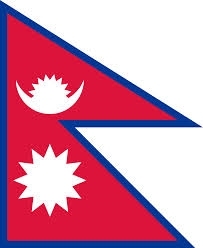 I explain about it as an example of Betturin(origin of Suparinpei). In that Kata, we should think about the meaning of Nidan-geri after turning. 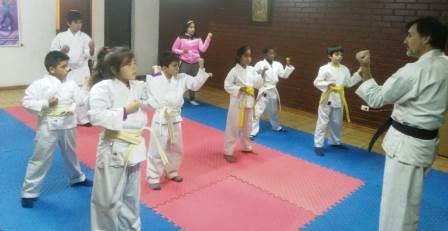 Karate and Karatedo What is difference when the “do” attaches? 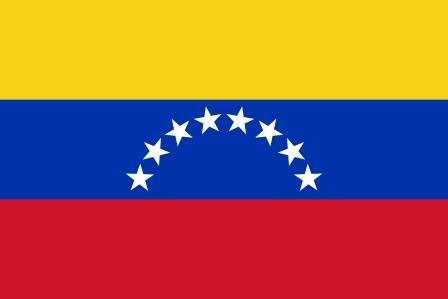 GIKKU- YUZENKAI has recognized the HIROSHIMA KAI(Venezueia) as Goju ryu honbu dojo Venezuela yuzenkai and Sensei Williams Jose Aguana Rivas as branch chief of Venezueia. 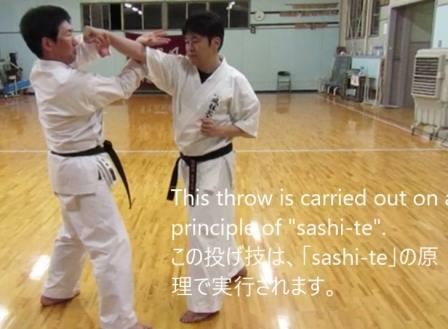 This movement ,Sukui-uke and Osae-uke with taking Sanchin-dachi forward step, is one of the theorems of gojuryu Karate. 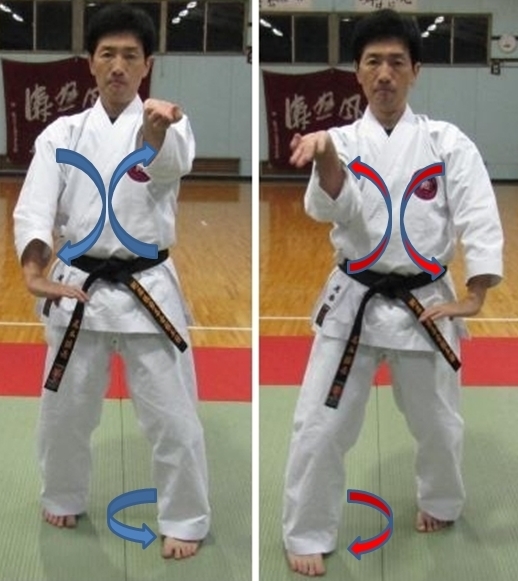 In other Kata, the same or similar movement appear.So, this movement has much bunkai including joint lock.The basic principle of the movement is "Sashi-te" and "Mawashi-uke". 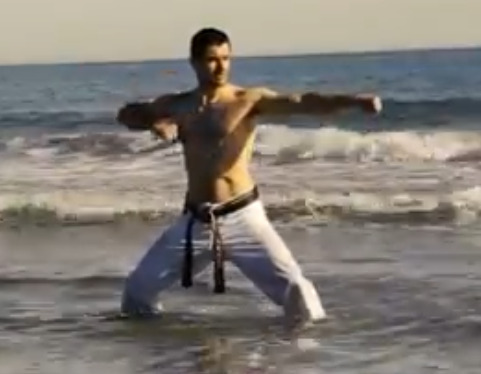 Many Karate textbooks say that the another name for Suparinpei is Betturin(Petturin). In other words,Suparinpei and Betturin are same kata. But…is it really so? 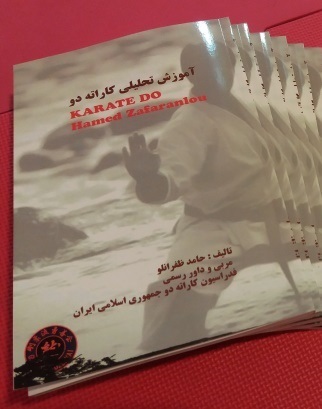 Shihan Dr Hamed Zafaranlou ( branch chief of Iran)has published third book on Karate.Kancho Omoto contributed some information about kumite and basic techniques to this book. 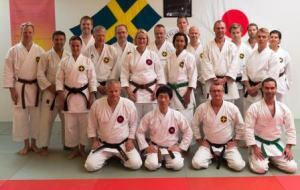 Kancho Omoto visited Sweden for the training seminar from August 10th to 14th,2016 . The seminar for leaders was five days, and seminar for general members was three days. The one-day lesson is four hours.The seminar was systematically carried out about traditional basics and training method of Gojuryu , five Katas and their Bunkai, and the five categories of technique of Gojury. 18 participants were conferred a certificate of seminar on. 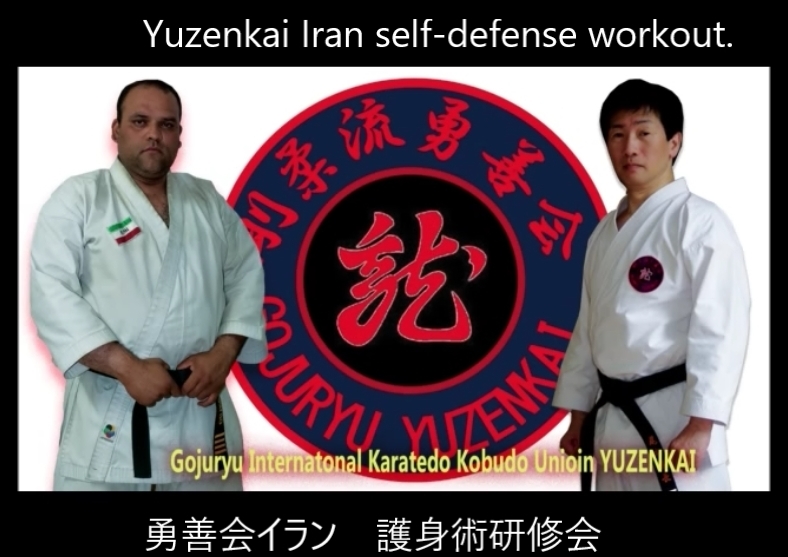 Yuzenkai is the Karate Research Dojo that aims to bring together the thought, the theory and the techniques of the Goju-Ryu Karate. We train as usual with the WKF Method and the Kyokushin method, though they are means to create the Yuzenkai Goju-Ryu Kumite.In the kumite,Yuzenkai uses knockdown blows: tsuki, keri, joint locks：Kansetsu-waza, chokeholds: Shime-waza, grappling techniques: Katame-waza and throwing techniques：Nage waza.Gojuryu has the technique of rich "JU". 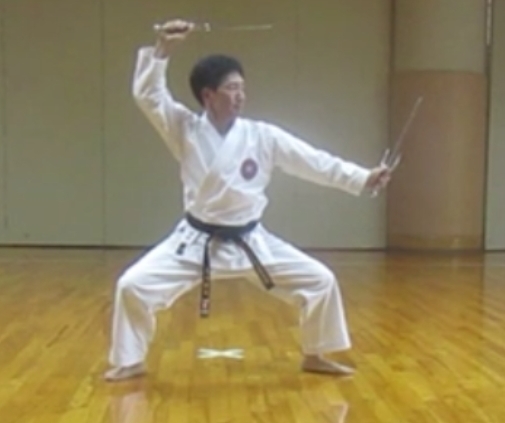 But the technique of "JU" had been not systematically arranged from easy techniques to advanced techniques. My plan is to make for the technique of "JU" a curriculum systematically, and to establish the System of Gojuryu. 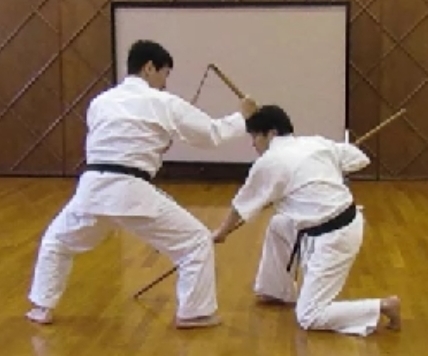 Also YUZENKAI values "Kobudo", which are the traditional weapons of the Karate. 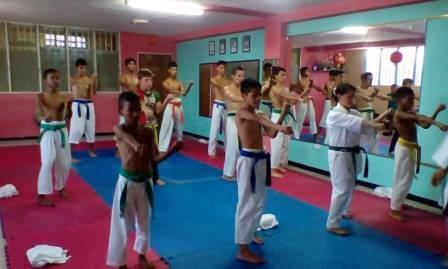 We use, and succeed through the use of those weapons from the theory of Gojuryu. The communication with YUZENKAI will contribute to your Karate. 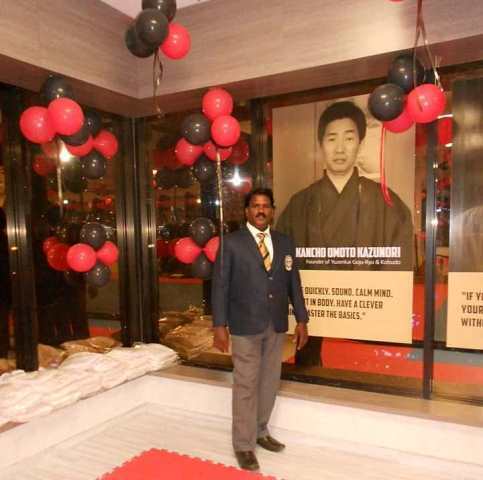 Biography.. Kancho Omoto(OMOTO Kazunori 尾本一則1958～ ) has studied ancient type Gojuryu Karate from Shihan Yoshiaki Naganuma(1944～) ,the former kancho of Yuzenkai, since 1973. Kancho Omoto earned the Master of Arts degree from Waseda University (Tokyo, Japan) in 1982. He also learned Syotokan Karate at that university time. 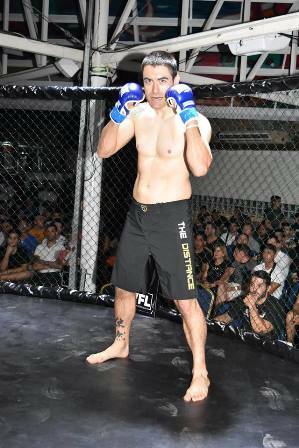 When he acquired the Black Belt, Karate of Japan was facing a crucial turning point. Especially,the integration of Kata, and the kumite rule (that is disadvantageous for Gojuryu) constructed by sports karate of JKF. Kancho Omoto became a high school teacher　in 1982.And he began to coach school Karate clubs(JKF type sports Karate ).Under his leadership, the students have achieved many competitions prizes of all-Japan, metropolitan, and pacific ocean districts.Nowaday some kis students become excellent Karate instructors.At the same time, he started to coach the Nahate Gojuryu Karate (Ancient Gojuryu martial arts)in his private dojo. From 2006 to 2007, kancho Omoto served to develop a large-scale E-learning system for public high schools.And he helped produce educational TV of NHK (Japan Broadcasting Corporation) as the chairman of the committee concerning high school correspondence courses. 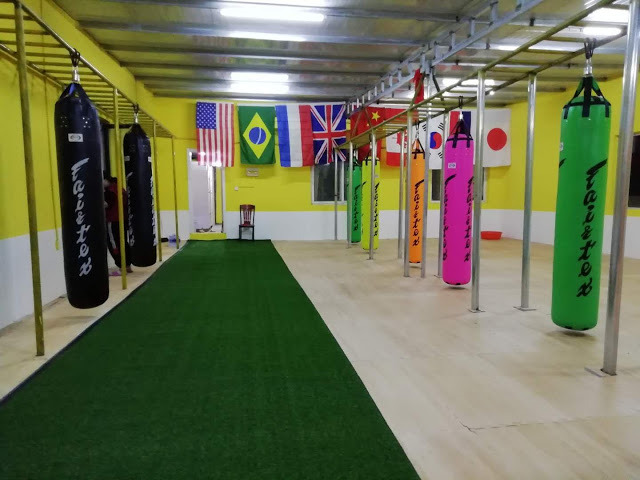 These experience significantly influenced his Yuzenkai method.As requests from oversea for direct tie-ins with Yuzenkai increasingly , kancho Omoto recognized the urgent needs to expand Yuzenkai's activity from domestic to world by internet. 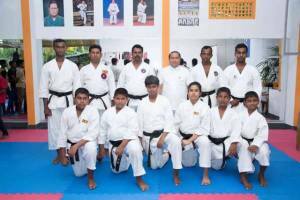 In 2013, he inherited the post of kancho of Yuzenkai,and established GIKKU-Gojuryu International Karatedo Kobudo Union,and started to 'share the fruits' of his 40-year journey of study in Karatedo and Kobudo with all Karate-ka in the world. 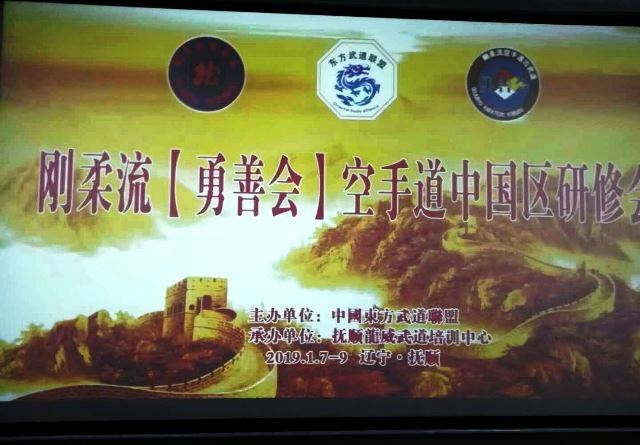 After the retirement age he is playing three role— as the guest lecturer of high school ,as the Kancho of Yuzenkai Japan and as the grand master of Gojuryu International Karatedo Kobudu Unoin. His motivation lies first and foremost in the preservation, promulgation and furtherance of the ancient type Goju-Ryu; he believes passionately in the need for accurate, philosophical and spiritual exploration of and research on Karatedo, and he teaches a special course in Goju-Ryu and Kobudo at his Yuzenkai dojo.Kancho Omoto believes that the state of contemporary Japanese Karate lacks the proper philosophical and ethical elements, as well as true persepctive.